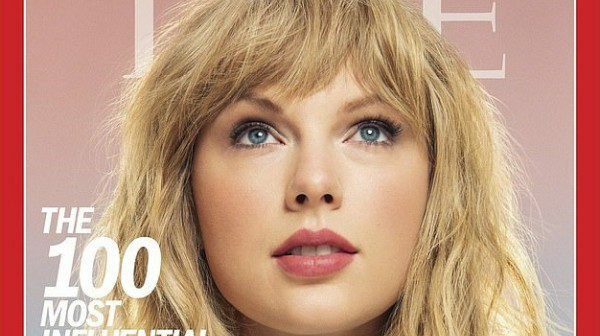 Taylor Swift and Sandra Oh have been named as two of Time’s 100 most influential people of 2019 and appear on the publication’s covers. The stars are joined by a list of other ‘pioneers, leaders, titans, artists and icons’, including TV star Gayle King, 64, actor Dwayne Johnson, 46, and former First Lady, Michelle Obama, 55. Each year, the honorees have an article written about them in the magazine by a fellow celebrity and this year, Shawn Mendes wrote Taylor‘s Time 100 piece. The singer said of Taylor, who has been listed as an ‘icon’: ‘I’ve been a Taylor Swift fan for as long as I can remember. But it wasn’t until I met and got to know her that I understood how wonderful a person she truly is.